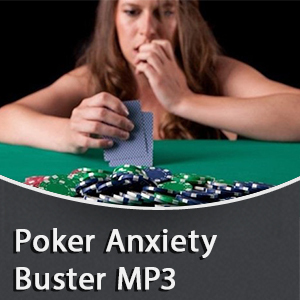 We all know that the ups and downs of poker can mess with your head and throw you off your game. 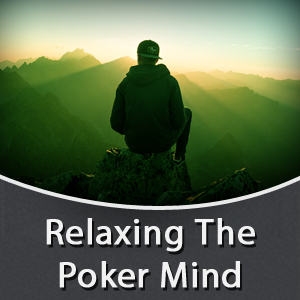 but there are always going to be times in your poker career when a quick mental boost is exactly what you need to stay on track and keep playing your best ever poker. I’ve identified 5 key mindsets that can help you always play to the best of your abilities. 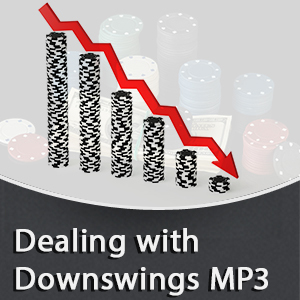 For each mindset I’ve created a MP3 you can use to quickly get a boost in the target area. When you buy them them as a complete set it will only cost you $97, a 23% savings. This is a great set of MP3s to have. I have been using the Confidence booster as part of my routine before I play and it helped me to work through a downswing. The Recovery booster was helpful when I finished a session that did not work out for me. Both the Motivation and Study boosters were instrumental in helping me to put more work into my game. 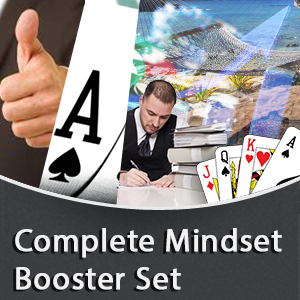 The Mindset Booster set has definitely helped with my positive results.